While there are only some results to talk about, the CycloneCenter science team is still active in presenting at national conferences. 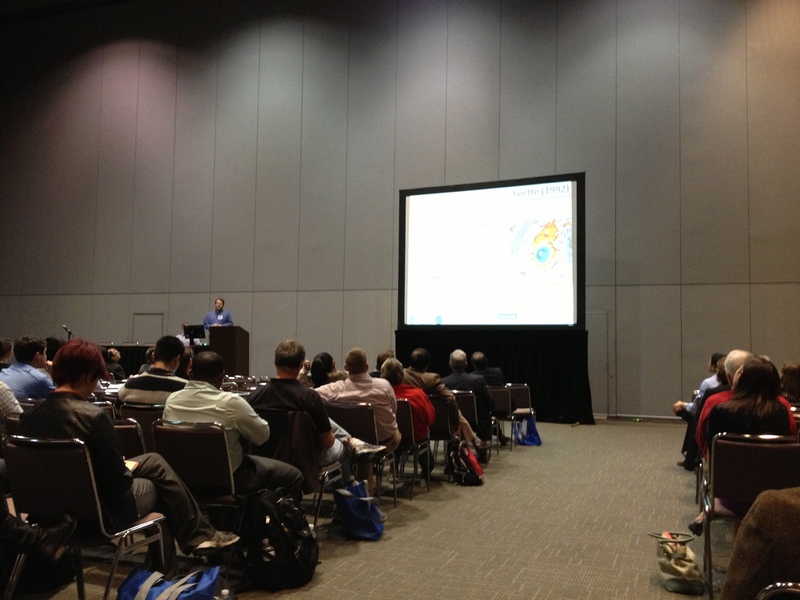 Last month was the AGU annual meeting, and this month was the annual meeting of the American Meteorological Society. Dr. Ken Knapp of NCDC presented an overall view about the science of CycloneCenter to a nearly packed group of tropical meteorologists. There was a lot of interest in the subject, including some chatter on the official AMS twitter account. This is a great example of how powerful social media can be. Speaking of which, don’t forget that we have our own Twitter account, as well as a Facebook page. Make sure to like / follow us, as well as tell your friends and colleagues! 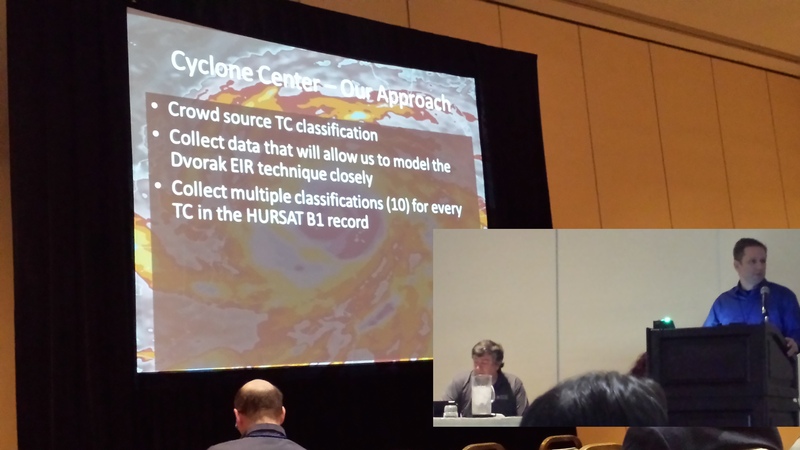 CycloneCenter.org was presented for the first time today at a major scientific meeting. This was the Fall Meeting for the American Geophysical Union (AGU), a gathering of over 20,000 scientists in San Francisco. The talk was in a session devoted to research by Citizen Scientists like you! A lot of other scientists were excited about the potential this Cyclone Center has. Together we’ll be able to answer some important questions about the climatology of tropical cyclones. And along the way, we get to interact with you! We also got some great suggestions on how we, the Science Team, can make it easier for you to interact with us. So keep a lookout for some big things we’ll be trying in the coming weeks! Thank you for all your hard work on Cyclone Center and keep it up!